The acronym LAMP refers to first letters of the four components of a solution stack, composed entirely of free and open-source software, suitable for building high-availability heavy-duty dynamic web sites, and capable of serving tens of thousands of requests simultaneously. The meaning of LAMP acronym depends on the software components included in the stack, but most often it is Linux, Apache, MySQL and PHP. That is all. 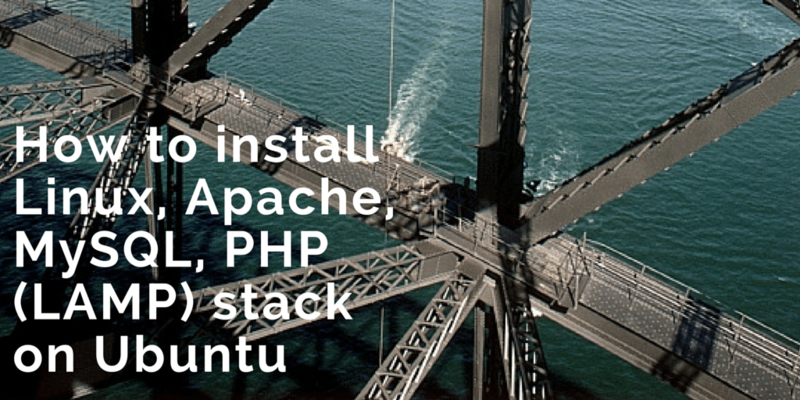 That will install apache with web root folder under /var/www and start it. We can verify if it works by entering our server’s IP address or domain name into our browser. If it works, we should get a page that says “It Works!”. We will be prompt for the MySQL root password. During the process, we will be asked a lot of questions. Basically, every “yes” answer, means increased security, so if we want to make our installation more secure, we should answer “yes” to all questions. After that, the new configuration will be applied, MySQL server process will be restarted and we it will be ready to use and listening for incoming connection on port 3306. If we point our web browser to our web server and that file, we should get basic report of our PHP installation and about modules and libraries included. Now we have fully functional LAMP server where we can host a lot of websites and databases. We have become one of the millions members of the LAMP family.